At some point when upgrading or reinstalling your Windows it’s possible to get a prompt for inserting a product key. If that’s the case, the following guides should help you find the lost product key, no matter what version of Windows you’re using. Before we take a closer look at the separate process for finding your product key according to the Windows version you use, let’s try to understand what are the places where keys can be found. Many Windows 7 PCs rely on System Locked Pre-installation, which means you will discover the true key needed on a sticker placed on the computer or power supply. This is called a Certificate of Authenticity sticker and it’s important to understand that it’s different from the product key that you find in your system’s registry. And that’s actually another important place to search for the key. When Windows is installed you can usually easily extract the product key for your version from the computer’s registry. In case you’re doing a Windows reinstall you can introduce this key if it asks you, but make sure you look it up before you go through with the reinstall process because it will be erased. As we’ve seen so far, the product key found in the registry is sometimes not reliable if your computer uses System Locked Pre-installation. The next method is considered more practical and it’s available for more recent Windows versions, such as Windows 8 and 10. If your computer stores the product in the UEFI firmware that means you’re in luck. There’s no need to search for it if you’re reinstalling the same Windows edition. Now that we’ve seen the places where you’ll find the product key, it’s time to investigate further and determine the best way to find it. 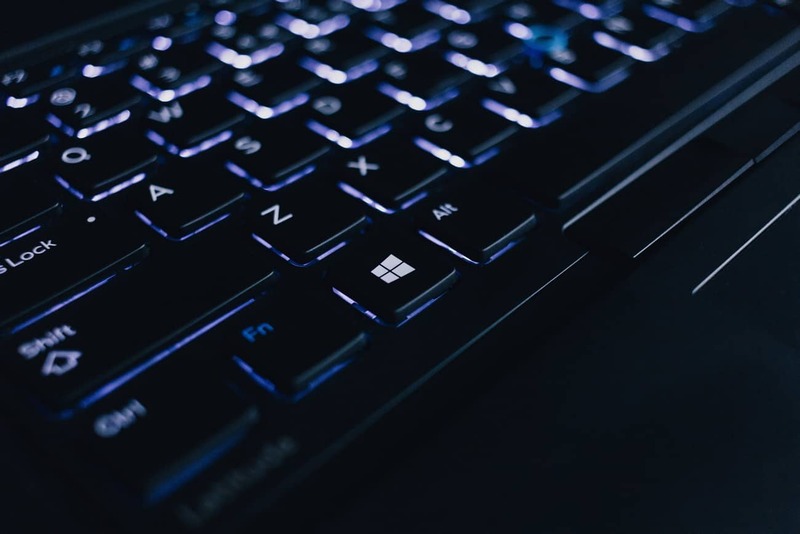 The first guide we begin with is for Windows 7 because the methods for finding the product key can differ in some ways compared to more recent versions such as Windows 8 and 10. Before trying to search for the key in the system’s registry, take a better look at your PC to see if you’ve got a Certificate of Authenticity sticker. Many laptops that came with Windows 7 pre-installed should have it somewhere, usually on the bottom of the machine. In some cases, you might even need to remove the battery to find it or there could be a special compartment that needs to be examined. For desktop units, inspect the case carefully because it could be anywhere whether at the bottom or on the side. If you’re unlucky enough to find the sticker, but with a rubbed off key, the next step would be contacting the manufacturer. One of the simplest utilities to use for this purpose is called ProduKey and is developed by NirSoft. It represents our top choice mainly because it’s very easy to use and won’t try to install other unneeded software like some other programs. If your antivirus gives you warnings about this utility, it’s definitely just a false positive. There are various types of malware which attempt to steal product keys, so that’s probably the reason. After you’ve downloaded the archive, unzip it, and run the software inside. It will quickly display your product key for your copy of Windows 7 as well as Office 2003 and 2007. With this little tool, you can even get back the product key from a dead PC. To do this, use the Select Source function and connect the old hard drive from that PC. Then, simply point the tool to an external Windows directory. 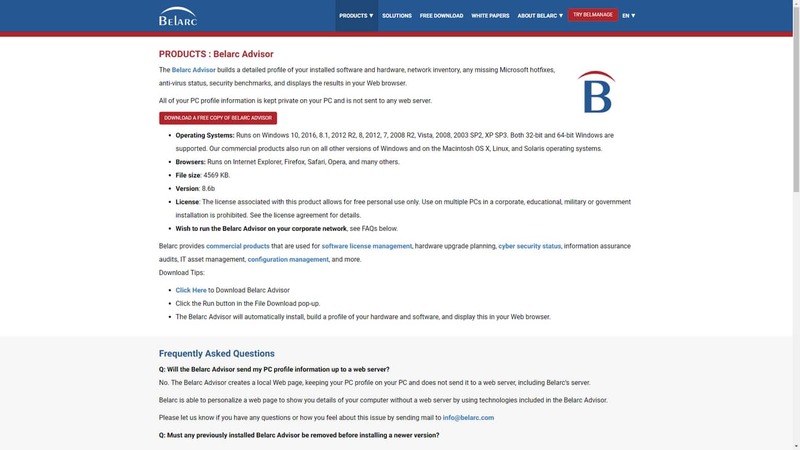 Belarc Advisor is a more advanced tool that finds product keys not just for Windows 7 systems, but older and newer versions as well as Microsoft Office 2013 or older versions. Despite its comprehensive compatibility, it offers a very small installation footprint and it’s available at no cost. There’s no portable version for this software, but the installation process goes very fast. The product keys are found immediately and with great accuracy. As a bonus, the tool will also provide some detailed information about your system so it’s not just restricted to finding your lost product keys. All in all, this is a decent information tool that does the job in a very efficient manner. The last key finder program to consider is Winkeyfinder. It’s completely free to use and has lots of advantages such as no need for installation. This utility has an extra ability for making changes to the registered user data. It can find keys for pretty much any Windows operating system and all the Microsoft Office versions from Office 2013 to 97. As it comes packed with more features than the other free tools, this can be considered a bit more difficult to use for beginners. Still, it provides your long-sought product key information quickly and you can copy it immediately to use it. The program works very well for Windows 7 so this is why it’s recommended for users of this operating system. So there you have it, finding your Windows 7 product key is not a very difficult task. However, in certain cases, the product key found by these tools won’t be considered valid. This is not necessarily the fault of the key finder software. There’s also the problem of not being able to find it at all. In situations like these, your only hope left is to request a replacement key which can be supplied by Microsoft at a low cost. If that won’t be approved, you might have to buy a new Windows 7 copy. Although in most cases Windows 10 doesn’t ask for a product key, there are times when it’s required to insert it. Users who upgrade from genuine Windows 7 or 8 copies shouldn’t have issues, but that’s assuming no major components of the PC are changed. For installing a completely new system you will have to add your 25-character product key. Let’s see what methods for getting that code are at your disposal. Similar to Windows 7 systems, computers bought with Windows 10 pre-installed should have an attached sticker to verify the authenticity of the product key. Although Windows 7 PCs will almost always have this sticker, it will be found much rarely on Windows 10 computers. Some manufacturers choose not to provide the sticker for security reasons. If you can’t find the sticker with the product key, then you should move on to the next steps. Windows 10 users who bought a boxed copy of their operating system will have an easy time finding the product key. There’s a label located somewhere on the box. That’s available for physical copies, but other people purchased a digital copy. In that case, the product key has been sent to your email. If you still have no luck finding it anywhere then maybe it’s time to try something else. 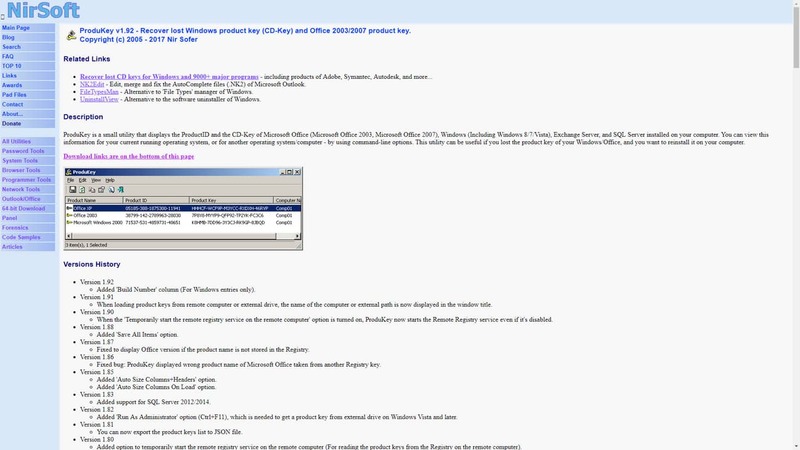 We’ve discussed about ProduKey, Belarc, and Winkeyfinder when trying to find the product key for Windows 7. Fortunately, some of these tools can be helpful for Windows 10 too. In case you’re out of options and can’t find the product key anywhere else, don’t hesitate to try them. It takes a little of your time to download and this type of tool works with great accuracy. Liked this article? Then you might also like our article about How To Fix a Blue Screen of Death in Windows, or maybe How to Open the Command Prompt.